Upon arrival at Labuan Bajo on the island of Flores you will be welcomed by our local representative and transferred to Labuan Bajo harbour. Here boarding to cross to less famous Rinca island. After 1 ½ hour sailing we reach Loh Buaya. Led by a local ranger 2 hour soft trekking through forest and savanna. 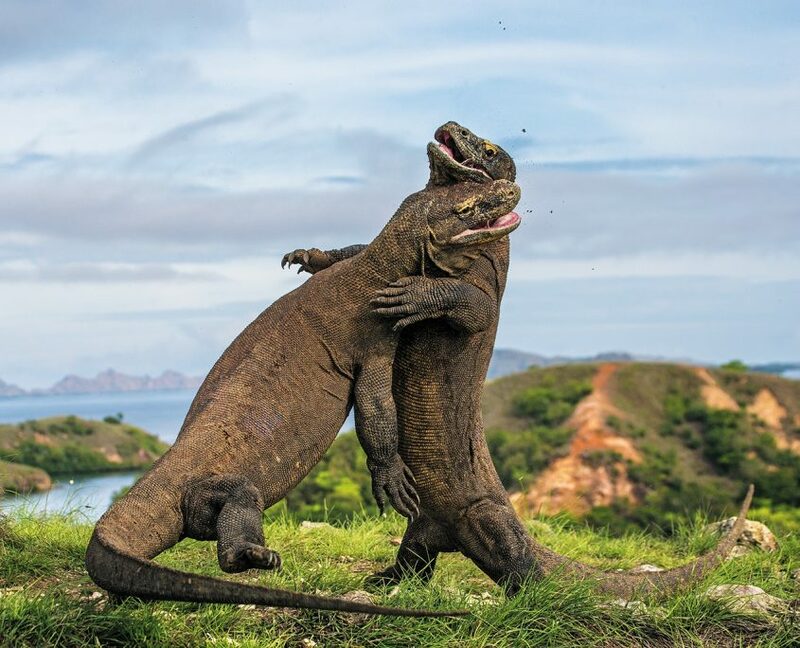 Komodo Dragons are often spotted on the way. From the highest point on this hike a beautiful panorama of the surrounding island. Lunch on board. 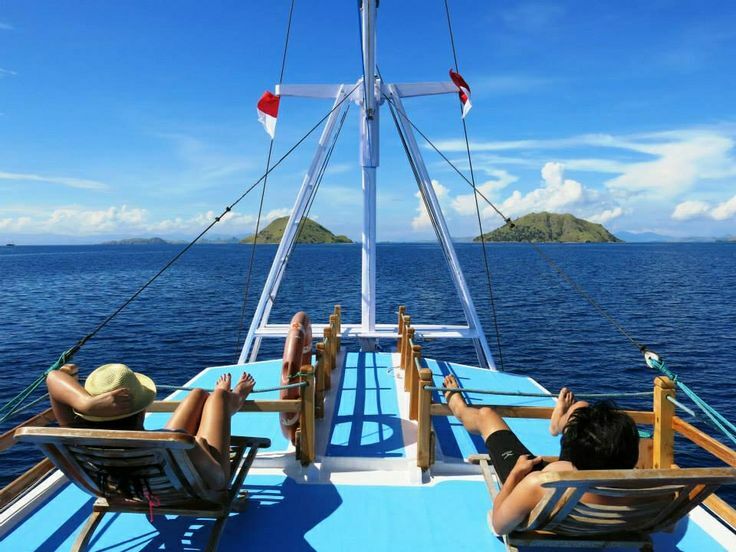 Then continue sail to Komodo island. 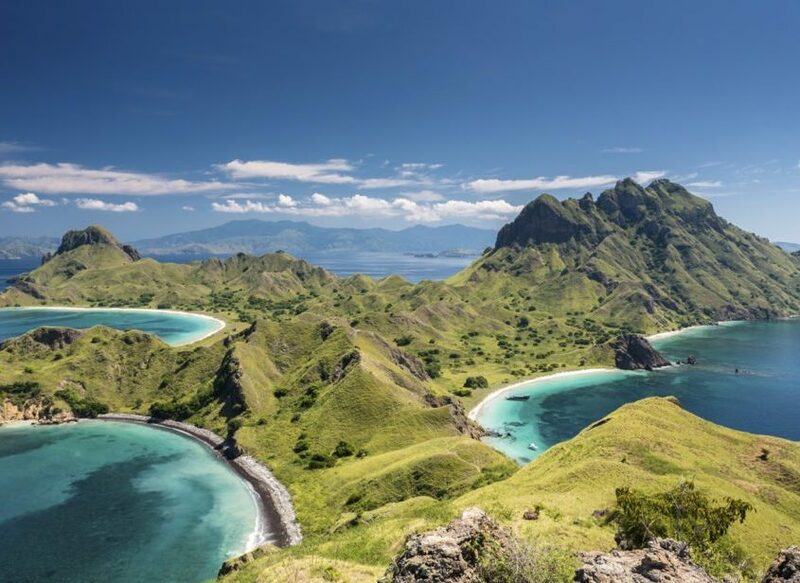 This trip over blue tropical waters and past hundreds of small island will take approximately 2 hours sailing until you reach Komodo Island. Dinner and overnight on board nearby Kalong island. Early Morning visit Komodo island and make a walk (1 ½ hours) with a local ranger in search of the Komodo dragons. During your visit also wild buffalo, deer, pigs and various species of tropical birds like the Cockatoo can be seen. Then proceed to Pink Beach. Here time to discover the splendid underwater world of these rich waters (snorkels and fins are provided). Lunch on board. Then proceed to Kanawa island for another swimming and snorkeling activity. Afternoon Return to Labuan Bajo Upon arrival at the harbour transfer to hotel in Labuan Bajo for overnight. Breakfast at hotel. After that visit Batu Cermin, local market and panorama point. Then continue to the Airport for next destination.